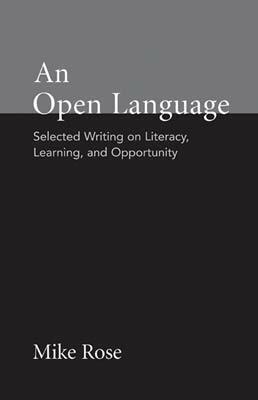 Offering unique insight into the process of building a meaningful career that makes a difference both in the academy and beyond, Open Language provides graduate students and new scholars selections from one of the most widely-read and influential writers in the fields of composition and education. PETER ELBOW RESPONDS TO "REMEDIATION AS SOCIAL CONSTRUCT"
Mike Rose, a professor in the Graduate School of Education and Information Studies at the University of California, Los Angeles, is one of the most prominent names in composition studies. He has produced important work in remedial reading and writing, writing across the curriculum, the cognition of composing, and the politics of literacy. Among his books are Lives on the Boundary: The Struggles and Achievements of America's Underprepared (1989) and Possible Lives: The Promise of Public Education in America (1995). 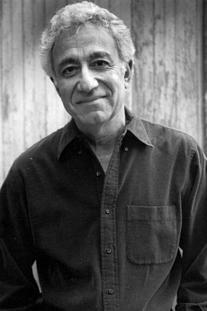 He has received numerous awards for his work in language and literacy, including awards from the National Academy of Education, the National Council of Teachers of English, the Modern Language Association, and the John Simon Guggenheim Memorial Foundation. Both in 1991 and 1992 he, as coauthor, won the prestigious Richard Braddock Award for the outstanding article published each year in College Composition and Communication. His most recent award is the 1997 Grawemeyer Award in Education for Possible Lives. His newest trade books are The Mind at Work: Valuing the Intelligence of the American Worker and Why School? : Reclaiming Education for All of Us.